It’s not that this album is boring. Well, actually, it is, but not massively. But kind of. Not completely, but in parts, and too many parts. 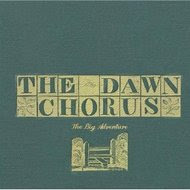 Middling is a word which sums up the majority of Hampshire country-tinged outfit The Dawn Chorus’ The Big Adventure; somewhat of a misnomer for an album which turns out to be more akin to a leisurely Sunday drive in the Mondeo estate to a rural craft fair on some country estate than any grandiose journey, as advertised. The tracks are, thankfully, more interesting and fulfilling than their titles would suggest. ‘Come On Home’, ‘I Can Be Anything’ and ‘The Hope Will Kill Us’ all hint heavily towards a landscape of blandness and grey upon grey for miles around. The reality, however, shows only a little more of the spectrum than the myriad shades of grey which are daubed in The Dawn Chorus’ titling. ‘The Big Adventure Pt 1’ opens the album reminiscently of Billy Bragg on Mermaid Avenue, but lacking the eternally endearing estuary English enunciation. It’s amazing that words appearing to be uttered so earnestly can produce such a lack of feeling. ‘The Big Adventure Pt 2’ surprisingly follows straight after part the first, and continues where part the first left off in terms of banality and false advertising as it gets stuck in heavy traffic, somewhere nondescript, en route to The Big Adventure. Things finally do get moving though, on ‘The Hope Will Kill Us’: a more raucous jaunt which almost induces a foot tap, and features one of those anthemic sing-along choruses that would, possibly, beg audience participation if played live. Thankfully, The Big Adventure is somewhat of a grower; both in terms of repeated listens and also the fact that it every track is an improvement on the previous, but it’s just not enough. ‘Summer of 99’ saunters steadily into something more substantial than anything it succeeds, whilst ‘Fractured City’ is a jolly-good jovial country-rock number with shades of Wilco present, but it’s all too little, too late, to create any optimism in what the rest of The Big Adventure has to offer. The Big Adventure is not a bad album; in fact it’s perfectly listenable and has its bright points, though they are far too few and far between. It has some nice touches: sleekly multi-tracked vocals, a few delicate strings here and there, and a bit of brass which manages to liven up proceedings a tad. But these are all just too superficial. Regrettably, the vast majority of The Big Adventure is forgettable far too soon, akin to a rain-soaked bank holiday family day-trip to the coast and, despite some promise in certain cuts, it doesn’t actually garner any feeling that isn’t sheer ambivalence. This is an adventure certainly not worth booking holiday for, and a bit of a washout.